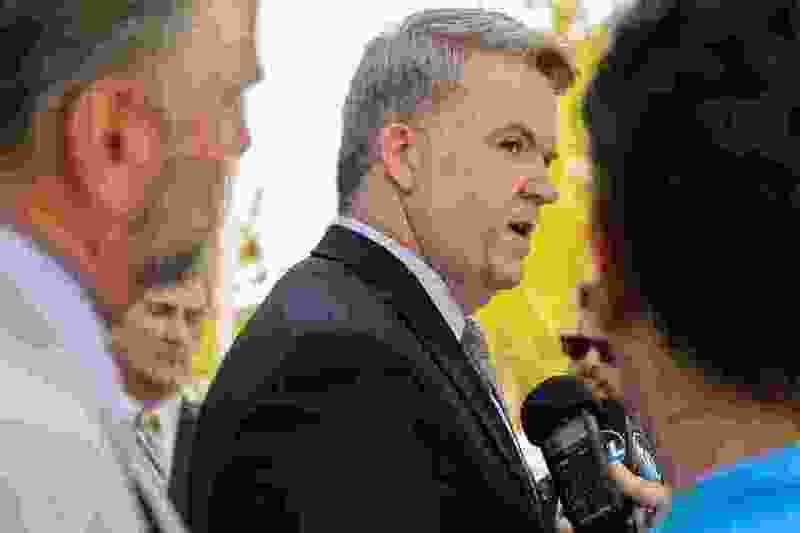 Trent Nelson | The Salt Lake Tribune U.S. Attorney for Utah John Huber speaks outside the federal courthouse in Salt Lake City after a federal judge sentenced online entrepreneur Jeremy Johnson to 135 months in prison for eight counts of making false statements to a bank. Friday July 29, 2016. U.S. Attorney General Jeff Sessions said in a letter to some congressional leaders Thursday that he appointed senior federal prosecutors — led by Huber — to review concerns raised by Republicans that the FBI ignored those issues while focusing on investigating the Trump campaign for possible collaboration with Russia. “We understand that the Department is not above criticism and it can never be that the Department conceals errors when they occur,” Sessions wrote to Senate Judiciary Chairman Chuck Grassley, House Judiciary Chairman Bob Goodlatte and House Oversight and Government Reform Chairman Trey Gowdy, all Republicans. The nonpartisan organization FactCheck.org conducted an independent review of the allegations and concluded that there was nothing to them. “There is no evidence that donations to the Clinton Foundation from people with ties to Uranium One or Bill Clinton’s speaking fee influenced Hillary Clinton’s official actions,” said FactCheck.org.